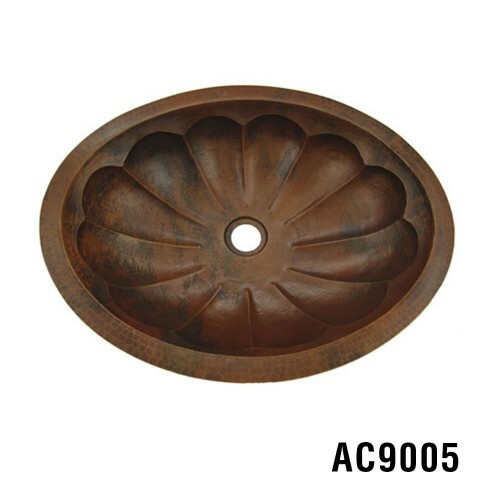 Partial Drop-in: Your choice of how much of the sink you want above the counter. 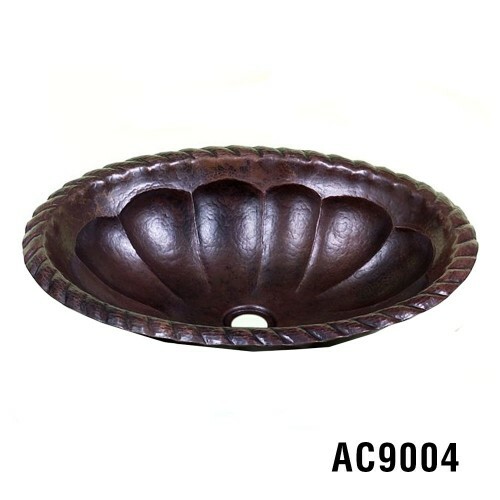 Just make the hole bigger or smaller.16” Outside Diameter7.5” DeepGauge: 16This Hammered Copper Sink is Shown in Dark Smoke Finish.Care & Maintenance: To protect th..
16” Outside Diameter / 14” Inside Diameter / 5.5” DeepGauge: 15This Hammered Copper Sink is Shown in Dark Smoke Finish.Care & Maintenance: To protect the finish of your Copper Sink avoid using abrasive cleaners. 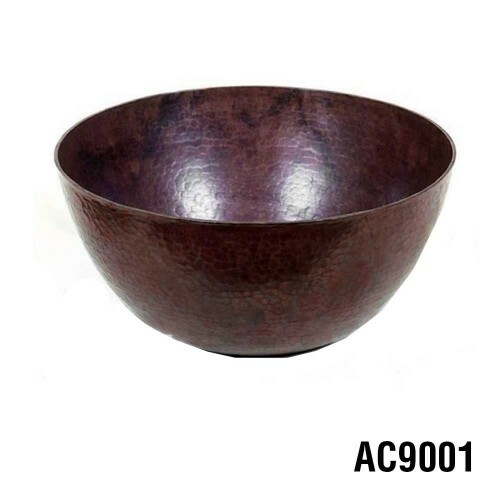 No coarse, acidic, or alcohol-based cleaners.. 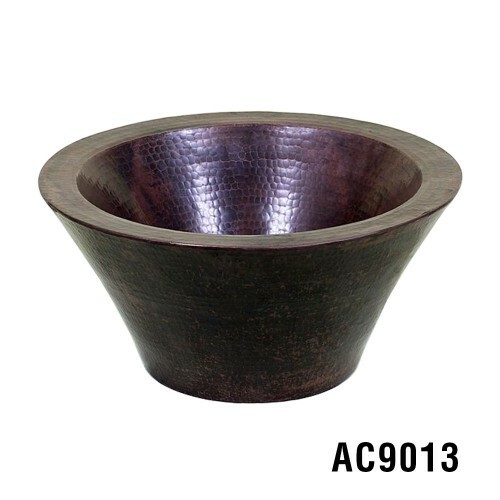 Partial Drop-in: 4" below, 2" above counter17” Outside Diameter15” Inside Diameter6” DeepGauge: 16This Hammered Copper Sink is Shown in Dark Smoke Finish.Care & Maintenance: To protect the finish of your Copper Sink avoid using abrasive cleaners. 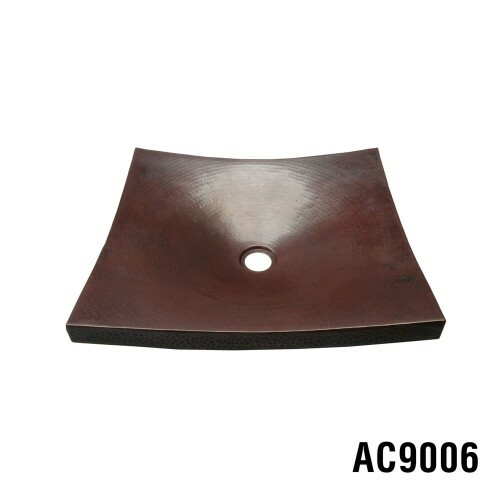 No c..
Drop-in or Undermount Available in two sizes with flat or rolled edge.Option AOutside Dimension: 19” x 14” x 5 3/4” Inside Dimension: 17” x 12” x 5 1/2” Option BOutside Dimension: 17” x 12” x 5 1/2”Inside Dimension: 15” x 10” x 5 1/4”..
Drop-in or Undermount Available in two sizes with flat or rolled edge.Option AOutside Dimension: 19” x 14” x 5 3/4” Inside Dimension: 17” x 12” x 5 1/2” Option BOutside Dimension: 17” x 12” x 5 1/2”Inside Dimension: 15” x 10” x 5 1/4” Gaug..
Drop-in or Undermount Outside Dimension: 19 1/4” x 15 3/4” x 6 1/4”Inside Dimension: 17 1/2” x 14” x 6”Gauge: 16This Hammered Copper Sink is Shown in Dark Smoke Finish. 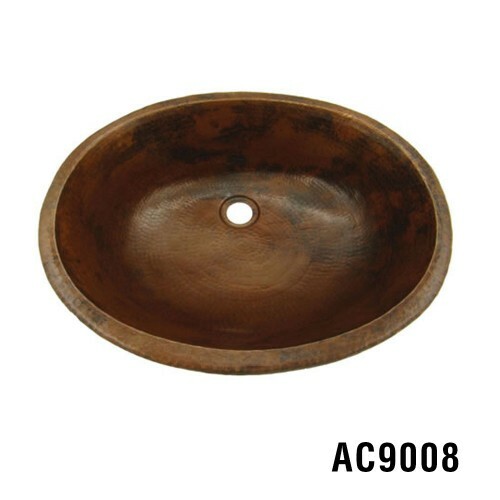 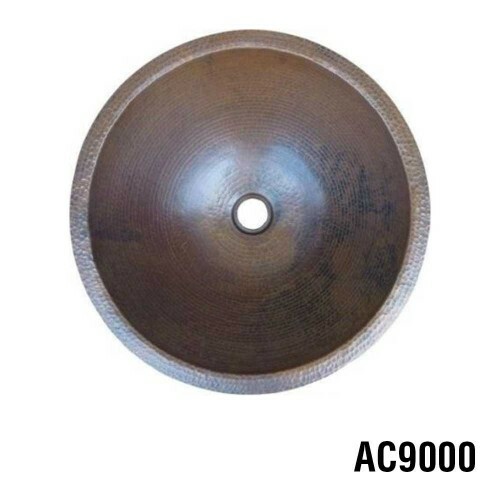 Please refer to the photo gallery for the available finishes.Care &..
15.5” Outside Diameter12.5” Inside Diameter5.75” DeepGauge: 14This Hammered Copper Sink is Shown in Dark Smoke Finish.Care & Maintenance: To protect the finish of your Copper Sink avoid using abrasive cleaners. 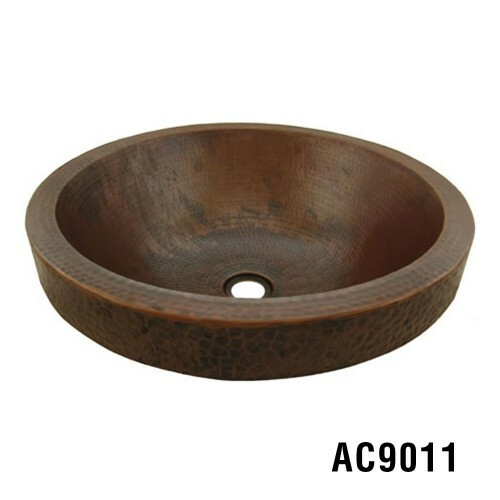 No coarse, acidic, or alcohol-based cleaners ..
Dimensions: 16" Diameter x 5.5" DeepDrain Hole Size: Standard 1.5" Care & Maintenance: To protect the finish of your Bamboo Sink avoid using abrasive cleaners. 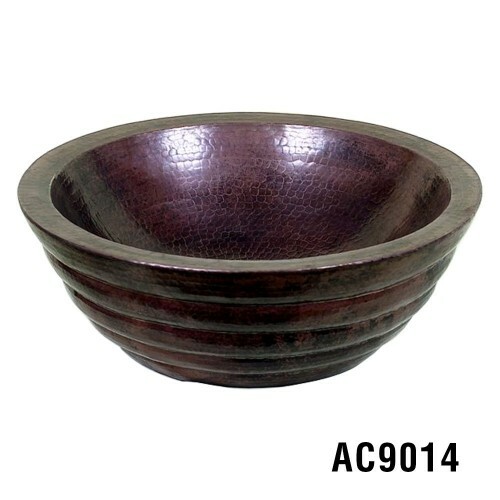 No coarse, acidic, or alcohol-based cleaners should be used. 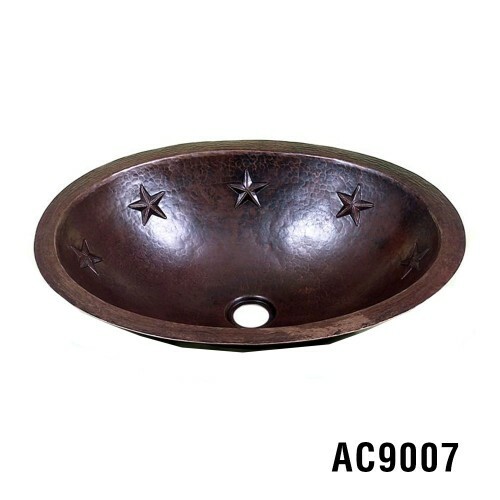 No Steel wool, Brillo pads, or wire..
Dimensions: 17" Diameter x 6" DeepGauge: 16 Drain Hole Size: Standard 1.5" (drain available, not included)Standard 1.5" Faucet Pre-Drilled Faucet Holes.Care & Maintenance: To protect the finish of your Copper Sink avoid using abrasive cleaners. 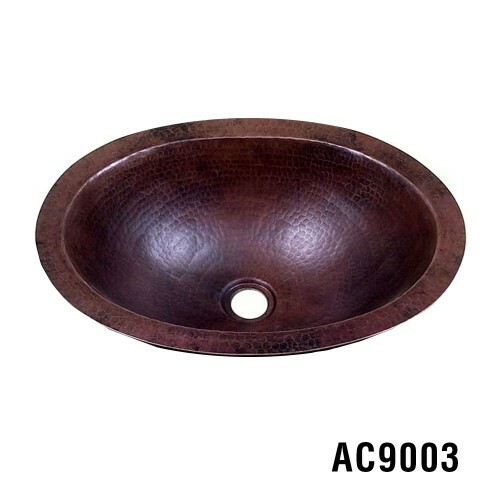 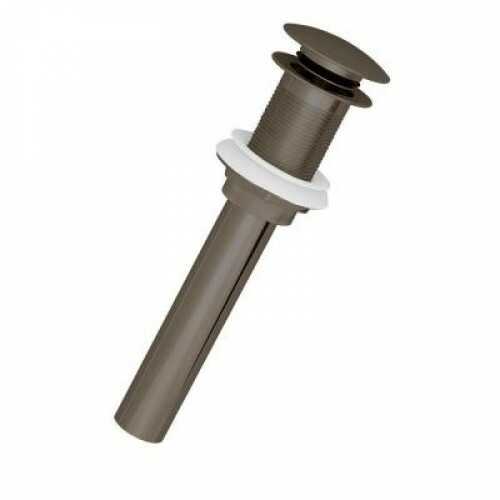 No ..
Dimensions: 19" Diameter x 6" DeepGauge: 16Drain Hole Size: Standard 1.5" (drain available, not included)Standard 1.5" Faucet Pre-Drilled Faucet Holes.Care & Maintenance: To protect the finish of your Copper Sink avoid using abrasive cleaners. 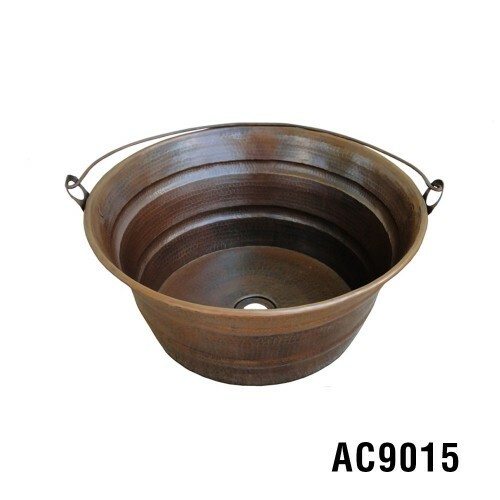 No coarse, acidic..
Dimensions: 16" Diameter x 6.5" DeepGauge: 12 Drain Hole Size: Standard 1.5" (drain available, not included)Care & Maintenance: To protect the finish of your Copper Sink avoid using abrasive cleaners. 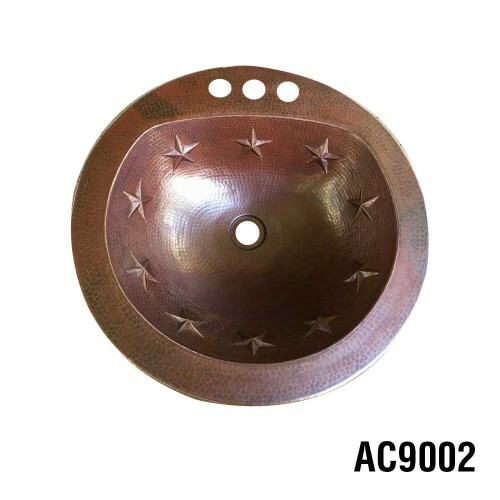 No coarse, acidic, or alcohol-based cleaners should be ..
Dimensions: 18" x 16" x 5.5" Gauge: 14 Drain Hole Size: Standard 1.5" (drain available, not included)Care & Maintenance: To protect the finish of your Copper Sink avoid using abrasive cleaners. 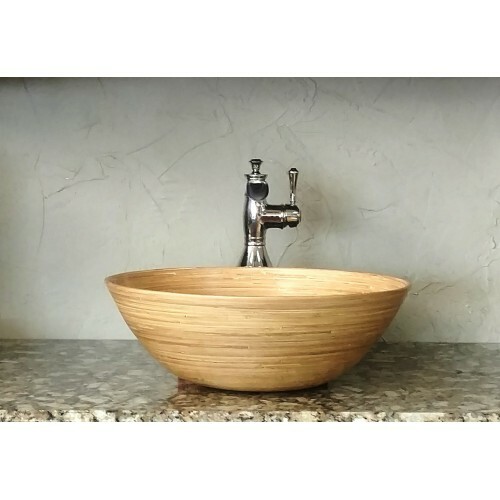 No coarse, acidic, or alcohol-based cleaners should ..